If you’re a woman working at Halton Council, then compared to men you stop being paid at lunchtime on Friday. Thanks to gender pay gap reporting laws now in place, major employers in the UK are obliged to report on pay differences between men and women. Data released, reveals that Halton Council is one of the worst performing councils in the Liverpool City Region, with only Knowsley performing worse. 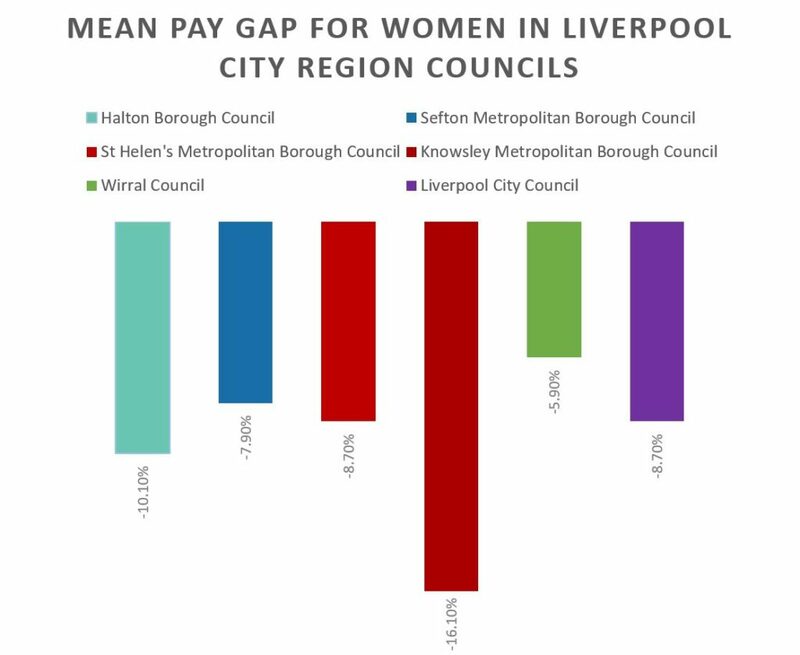 Halton’s gender pay gap is the second worst council in the Liverpool City Region. We found similar but not terrible results for Riverside College, at 7.8%. Worse still, our research discovered that major local employers can often be even worse, with INEOS having a 20.8% pay gap, 26% at Warrington and Halton Hospitals NHS Foundation Trust, Wade Deacon Trust at 19.9%, and Ormiston Academies Trust 26.4% lower. Others where you’d expect a big difference are performing better and deserve praise, such as Jaguar Land Rover at just -4.5% difference and Inovyn Chlorvinyls in Runcorn paying women 9.8% higher than men on average! This shows that there is an ongoing and continuous bias leading to women being underpaid for their important contribution to our society. Councils should lead the way in improving this situation, and also providing guidance to local employers to help level things up. Check how your employer is performing at the UK government’s Gender Pay Gap Service. David Coveney is Chair of Halton Liberal Democrats, as well as Press Officer and general trouble maker. Sometimes his hair is long. Sometimes it isn't.